Feel free to see any of these originally made retail organizational chart templates. You can also download the templates and re-use them. The following one shows the general framework of a retail organization. The board of directors is at the very top position, while some other sub-divisions are also listed. 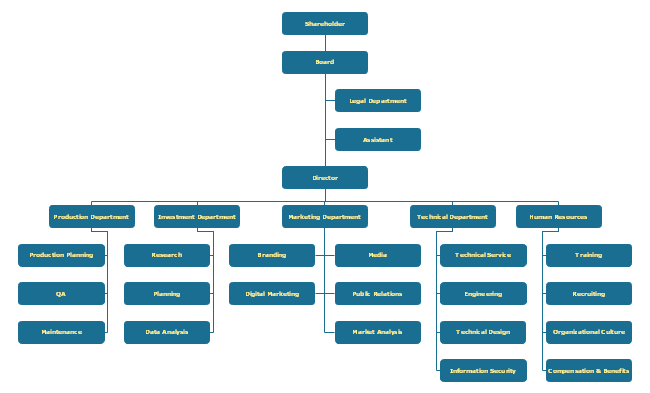 Unlike the traditional org chart templates with only employee names and titles, this template here shows the retail organizational chart for small firms. You can quickly get a mark by using the auto-calculate tool. 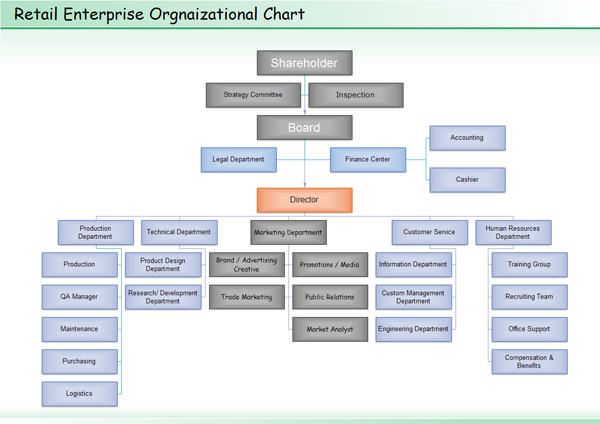 This template here displays a retail organizational chart from a large-scale enterprise. You can easily insert many employee details such as names, working emails and phones etc. 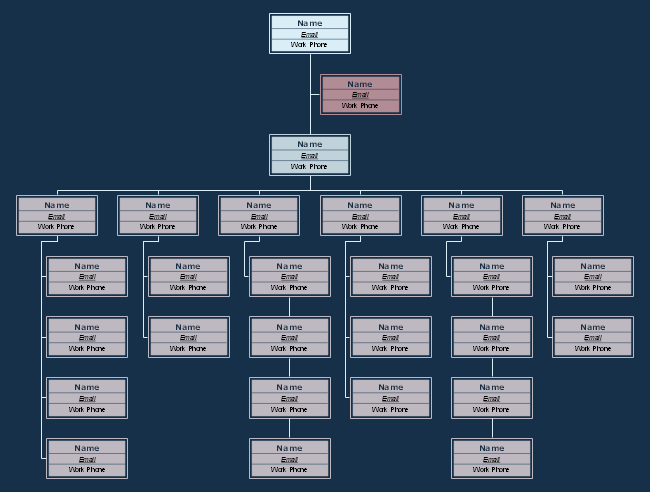 Explore more free download organizational chart examples for many industries such as trading, service, public sectors and more.